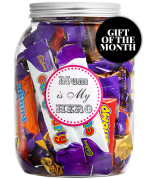 Treat your real life hero to a huge jar of yummy Miniature Cadbury Heroes! 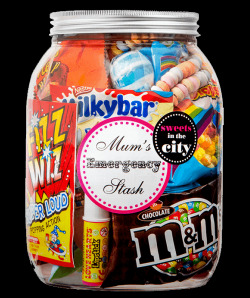 This personalised jar will amuse and delight all Chocolate lovers! 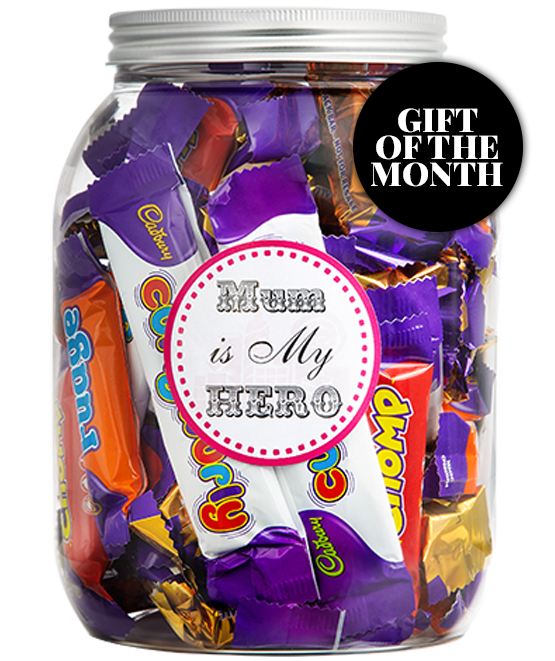 Toast your hero with this mouth-watering limited edition jar of Cadbury Heroes. These hand-packaged sweets are a wonderful way to show your appreciation and you can of course customise the label with a heartfelt message! These treats are just perfect for your real life hero. Ingredients: Fudge Bar: sugar, glucose syrup, palm oil, skimmed MILK powder, cocoa butter, cocoa mass, whey permeate (from MILK), MILK fat, emulsifiers (E471, sunflower lecithin, E442), flavourings, sodium hydrogen carbonate, salt. Crunchie Bar: sugar, glucose syrup, cocoa butter, cocoa mass, skimmed MILK powder, whey permeate powder (from MILK), palm oil, MILK fat, emulsifiers (E442), flavourings, coconut oil. Curly Wurly: glucose syrup, sugar, palm oil, skimmed MILK powder, cocoa butter, cocoa mass, whey permeate powder (from MILK) MILK fat, emulsifiers(E471, sunflower lecithin, E442, E476), salt, flavourings, sodium hydrogen carbonate. Chomp Bar: glucose syrup, sugar, plam oil, glucose-fructose syrup, skimmed MILK powder, cocoa butter, cocoa mass, whey permeate powder (from MILK), MILK fat, emlusifiers (sunflower lecithin, E471. E442, salt, sodium hydrogen carbonate, flavourings. MILK chocolate: MILKsolids14% minimum. 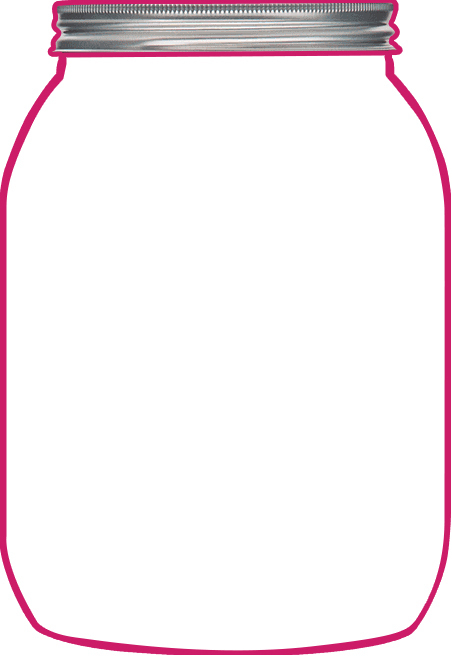 Contains vegetable fats in addition to cocoa butter.May also contain MILK, NUTS and cereals containing GLUTEN. For allergy advice see ingredients in bold.